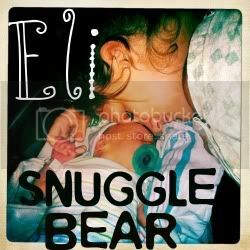 Snuggle Bear Eli: War has begun. you are such a good mama, eli is super lucky! i love this and your post about teen moms. i bet a lot of people will find this so encouraging, not many people write so honestly and i think that's a really good thing.